Anti-pipeline celebrity campaigners Kevin Bacon and Robert Redford are soon to be joined by green activist Leonardo DiCaprio as the Natural Resources Defense Council ramps up its $95-million-per-year disinformation machine to shut down the Northern Gateway oil project. But could these three American acting megastars and their NRDC celebrity colleagues possibly survive without the use of jet fuel to take them from one film location, festival or promotional junket to another? I don’t think so. And what fossil fuel will these movie stars choose when it comes time to fuel the executive jet for a trip from Los Angeles to Cannes, that star-studded haven of high-powered yachts and carefree Hollywood employment? Clearly these image-conscious spokespeople have already said they won’t opt for Canadian product derived under tight controls that protect the environment, workers’ rights and the rights of women. No, these actors will be forced by default to fuel up their Gulfstreams and Learjets with product from unethical, undemocratic and exploitive regimes like Saudi Arabia, Iran and Venezuela. A recent statement by NRDC international program director Susan Casey-Lefkowitz called the campaigns against both the Keystone XL and the Northern Gateway pipelines “things of global interest.” In my opinion, finding safe and secure energy sources to run society is another issue of great global interest. So it baffles me that her almost $100-million-per-year group views the successful stalling of Keystone XL to link Alberta’s oilsands with oil refineries on the Texas Gulf coast as the key reason to enter the anti-Northern Gateway campaign. Now that Keystone XL is on the back-burner, Casey-Lefkowitz reportedly expects pro-pipeline pressure to be exerted on Northern Gateway, a pipeline to carry oil from Alberta to Kitimat, so naturally she wants to mobilize against it. This notion of movie-stars working to block ethically produced Canadian oil from being shipped both south and west is surreal. As a co-founder and former leader of Greenpeace, I understand the power of celebrity to battle issues on moral grounds. However, since I left Greenpeace and decided to work for solutions to real environmental problems — poverty, sustainable agriculture, improved mining practices and even better monitoring in the oilsands — I can’t help but be disillusioned to see so many celebrities fighting on the wrong side of the issue. When Morgan Freeman or Sean Penn professes to be friends with President Hugo Chavez, I tend to simply shake my head and wonder how intelligent people can be so wilfully blind to the facts of such a corrupt oil exporter nation as Venezuela. But when Hollywood A-listers purposely and publicly preach an end to fossil fuel use while gassing up at the executive jet centre in a way that supports unethical Middle Eastern and Venezuelan oil to the detriment of Canada, I simply must speak out. Oil has to be moved from where it is obtained to where it is required. That is, we need to transport it from the wellhead to the market. The safest way is through a pipeline. Alternatives include tanker trucks and rail, both of which come with additional risks. Tanker ships — more specifically safe, double-hulled vessels —will also play a role. I have visited Alberta’s oilsands a number of times, and I’ve been impressed by the care the operators take in protecting people, communities and the environment. And I’ve seen that their reclamation work, where they remediate, re-contour and replant the mined areas, is among the best in the world. Couple that with today’s pipelining technology, which is safe and efficient, and I can’t help thinking the movie stars are way off base on this one. No matter how powerful NRDC is, or how famous Redford, DiCaprio and Bacon are, the notion that we must cut off Canadian oil at the source and then fill in the gap with oil from anti-democratic regimes is simply wrong. 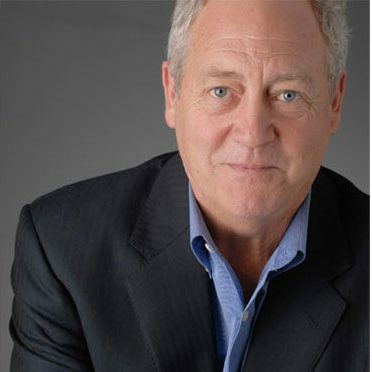 Dr. Patrick Moore is a former leader of Greenpeace and chief scientist of Greenspirit Strategies Ltd., a Vancouver communications consulting firm that delivers strategic planning for sustainability issues.